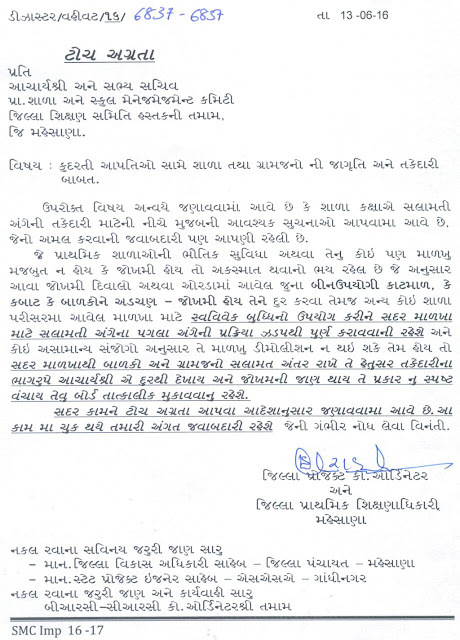 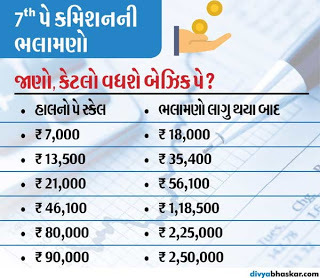 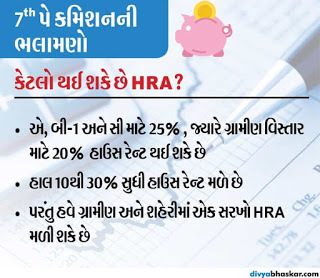 લેબલ્સ: ORADA NI HARAJI TATHA PROCESS BABAT. SHIXAK JYOT CUTTING MAY-2016. 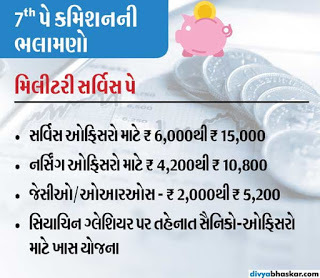 10 JILLA NI DEO-DPEO NI KHALI JAGYAO NO VADHARA NO CHARGE AAPVA BABAT LATEST PARIPATRA. 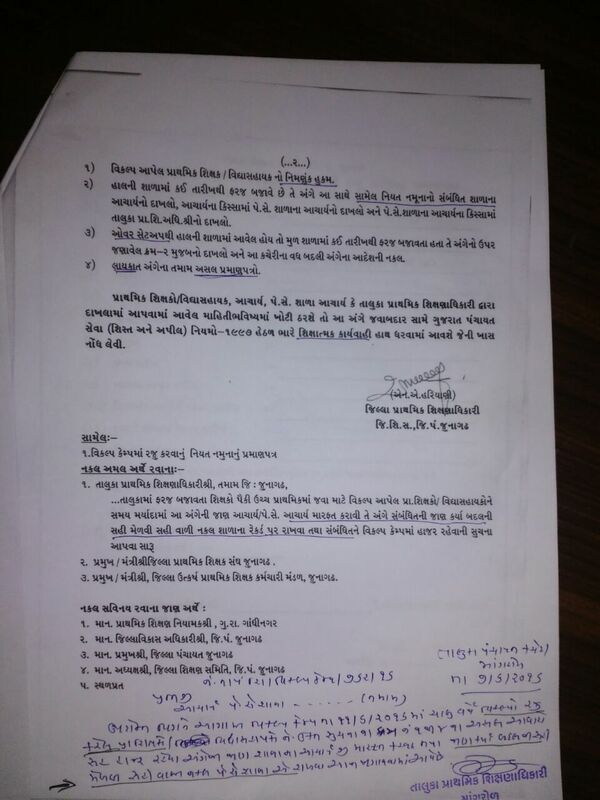 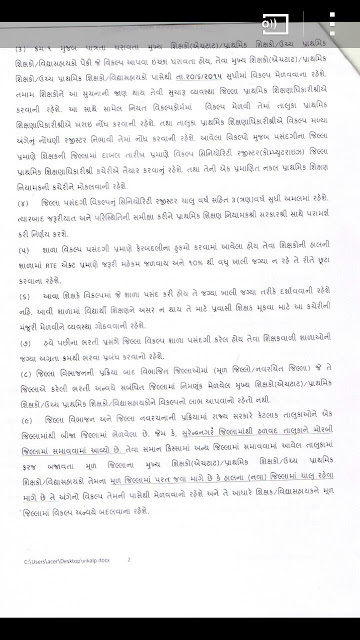 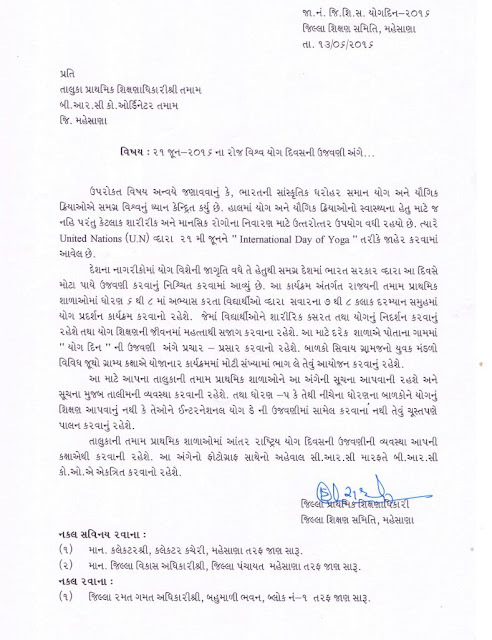 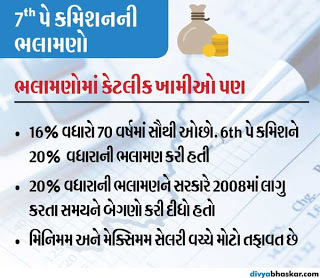 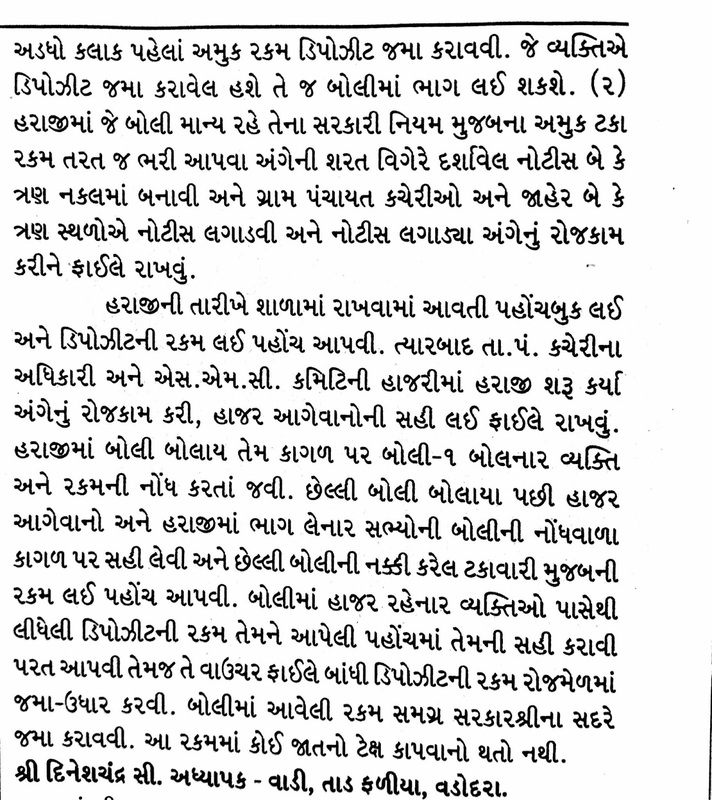 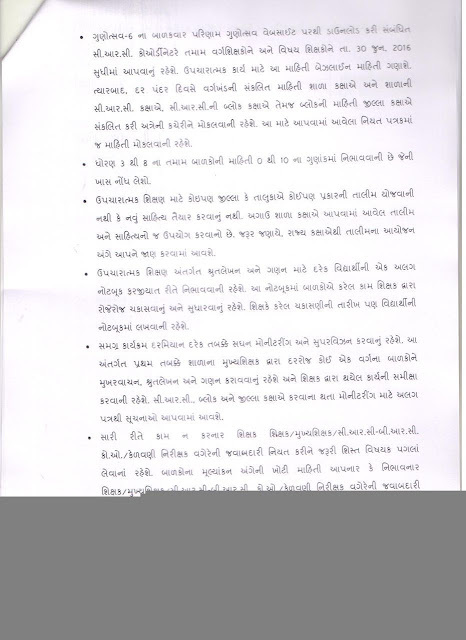 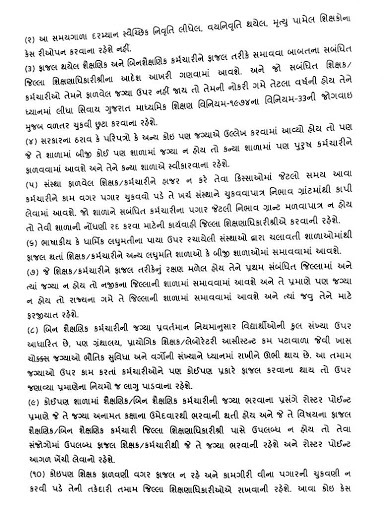 7TH PAGAR PANCH FULL DETAILS IN GUJARATI.MUST READ. 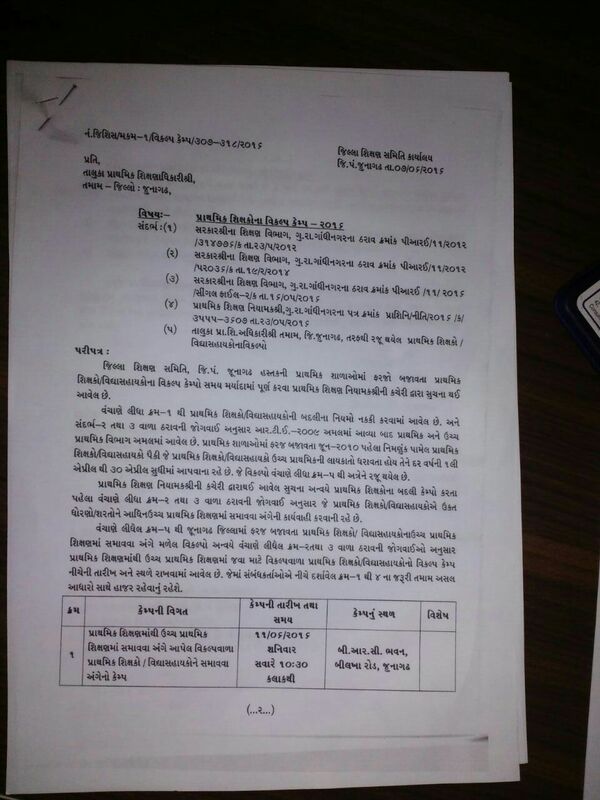 → Savare 11 thi 12 vachan lekhan ane sanje 3 thi 4 ganan karvanu rehse. 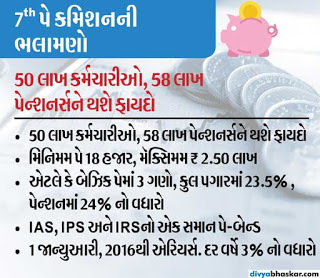 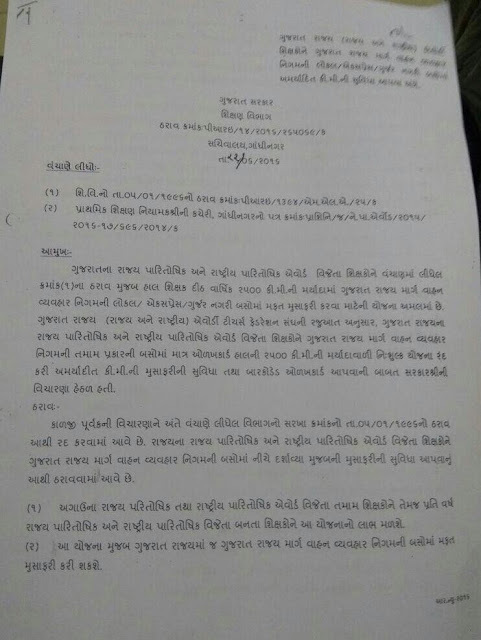 BANASKANTHA:- PRAVASI SIXSKO NI NIYUKTI 30/6/2016 SUDHI MA KARVA BABAT PARIPATRA. 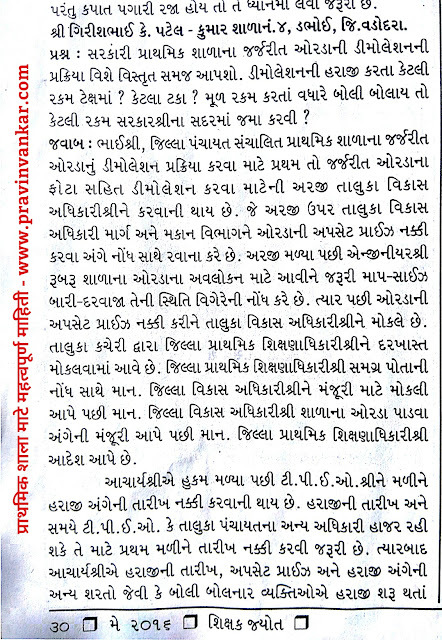 AWARD WINNING TEACHERS NE S.T. BUS MA VADHU SUVIDHA AAPVA BABAT LATEST PARIPATRA DATE:-22/06/2016. 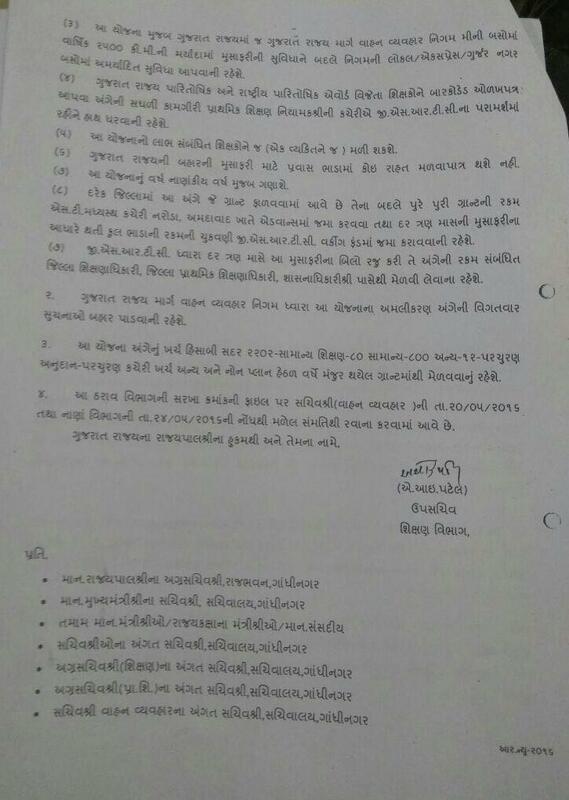 7TH PAY BABAT RAJAO NI MAHITI. 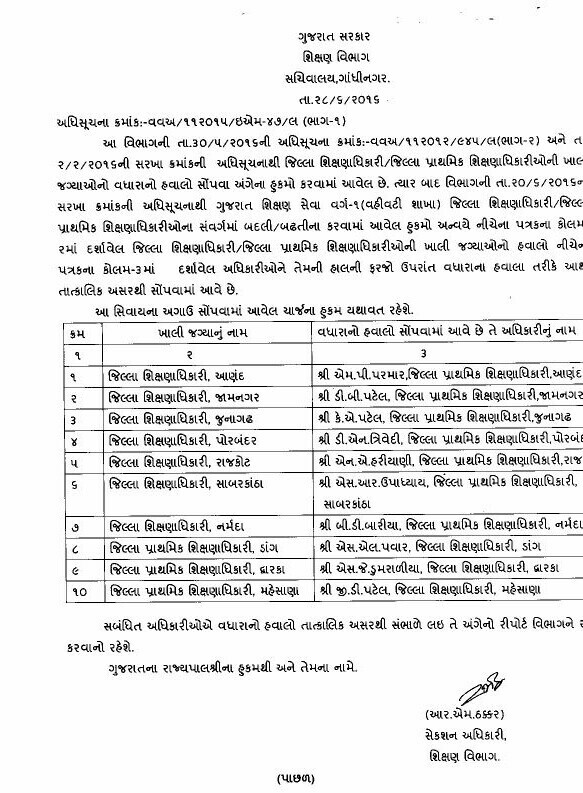 MAHESANA DISTRICT :- JILLAFER BADALI ANGE NI KAMCHALAU SENIORITY YAADI TEMAJ VANDHA ARAJI MANGAVAVA BABAT PARIPATRA & .SENIORITY LIST. 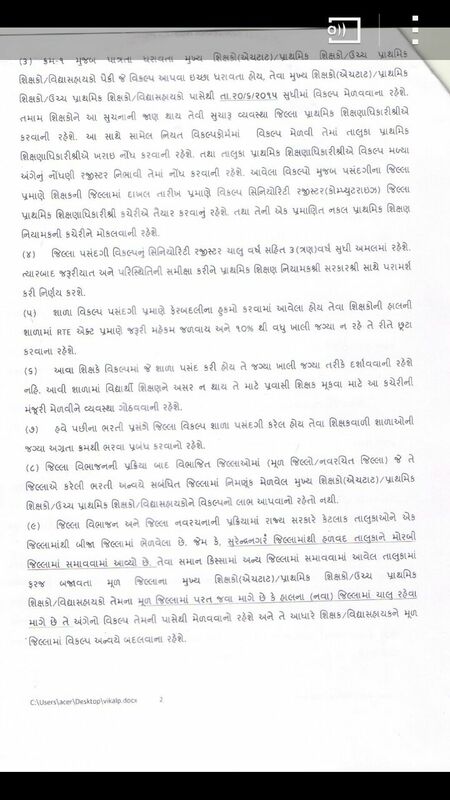 Science Fair 2016/17 latest circular Date 23/6/2016. 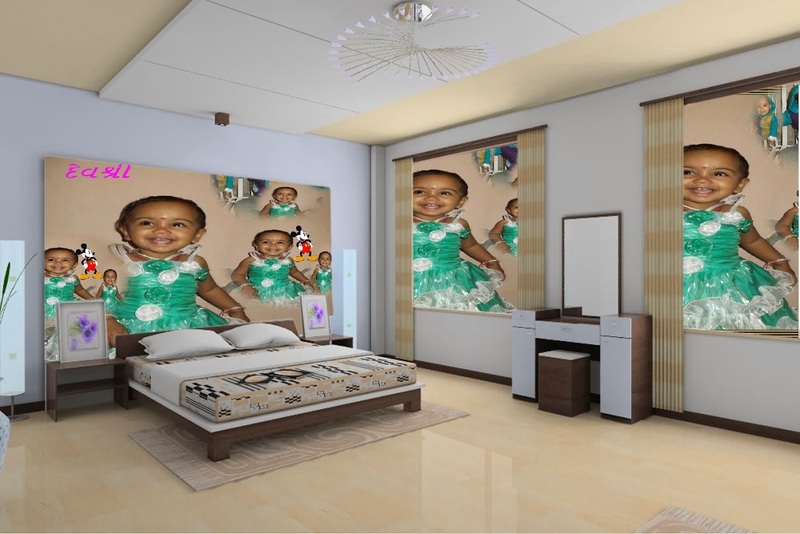 DOWNLOAD ZIP FILE CLICK HERE. 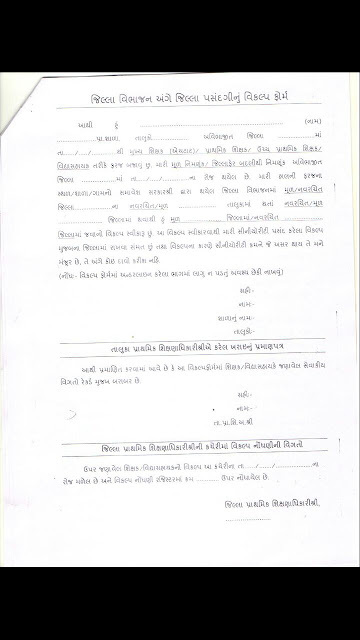 KALPESHBHAI DVARA BANAVEL SUPER DUPER FILE. PRAMANPATRA - EK TARAFI JILLAFER, PATI-PATNI CASE. TAMAM BABAT NO SAMAVESH KARAVA MATE ZIP FILE BANAVEL CHHE. SACHIVALAY-BIN SACHIVALAY CLERK EXAM DATE NOTIFICATION DECLARE. 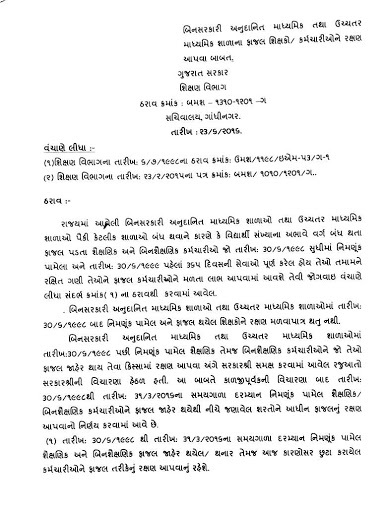 BREAKING NEWS :- SACHIVALAY-BIN SACHIVALAY CLERK EXAM DATE NOTIFICATION DECLARE. 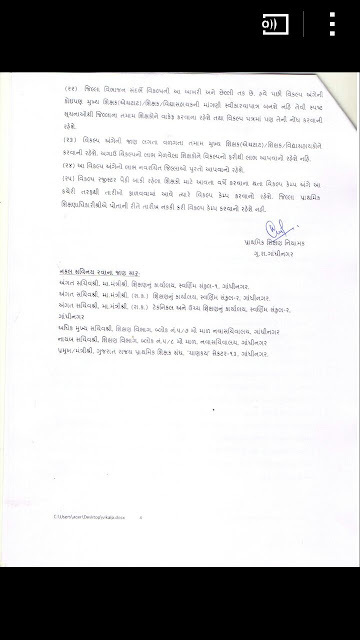 IVRS SETCOM BISAG PROGRAM NA MUKHY ANSHO. 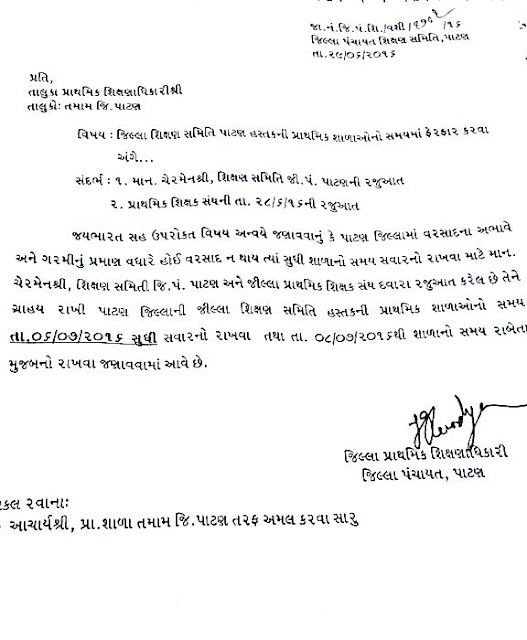 Saupratham Darek Shala Na Principal Ane Bija 2 Shixako Na Mobile Number IVR System Ma Update Karwana Raheshe. 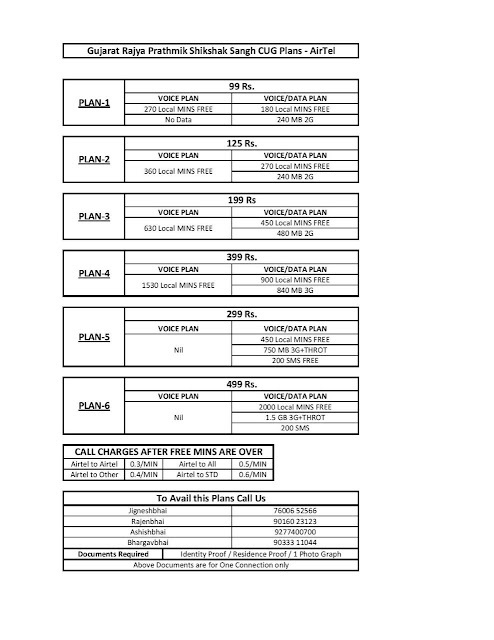 Aa System Chalu Thaya Bad Darroj 1:30 thi 5:00 Vagya Darmiyan System Ma Nondhayel Mobile Number Par IVR Dwara Computerized Phone Aavshe. 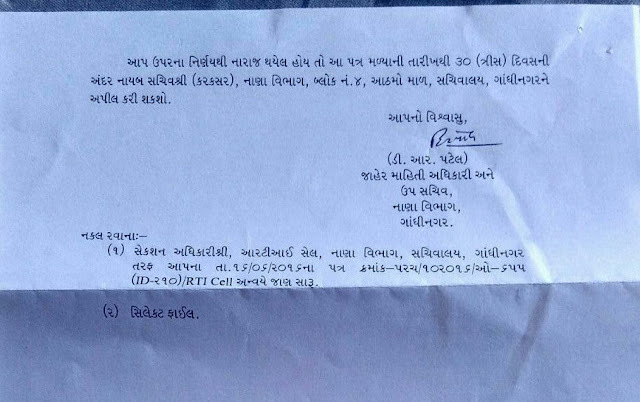 Jo Principal No Phone Nai Lage Athva Nai Upade ane Reply Nai Kare To 3 Vakhat Prayant Karashe, Ane To Pan Nai Thay to Bija Ane Trija Number Par Call Aavshe, Jo Em Pan Mahiti Nai Pohche To Principal Par SMS Aavshe, Ane Ema Ek Toll Free Number Hashe, E Number Par Miss Call Karwathi IVR Dwara Same Thi Call Aavshe. 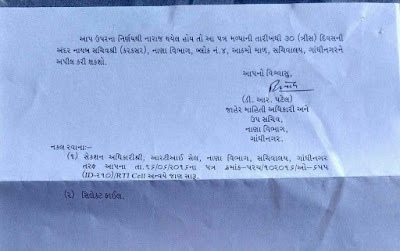 Jyare Call Aave Tyare Puchhashe K *STUDENTS NE MDM NO LABH MADEL CHHE? 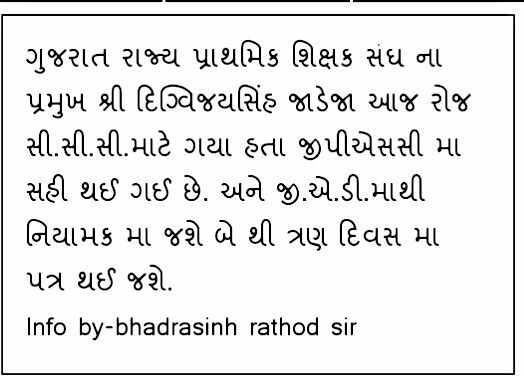 * teno Reply Phone Na Dial Dwara Number Type Kari Ne Thashe.Ex 190.Tena Pachhi IVR *Aabhaar* Bolshe Ane Phone Cut Thai Jashe. 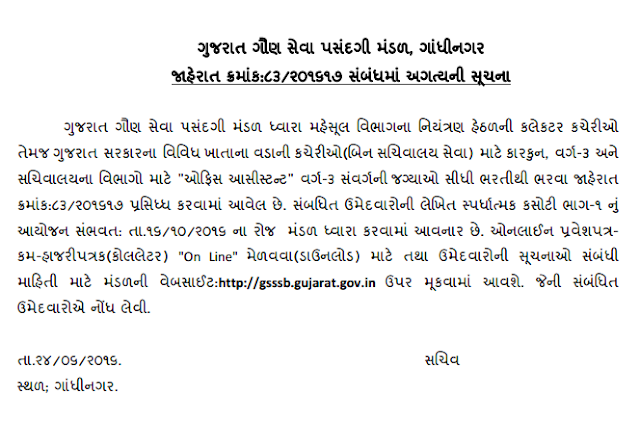 Raja Na Divase Call Nai Aave. 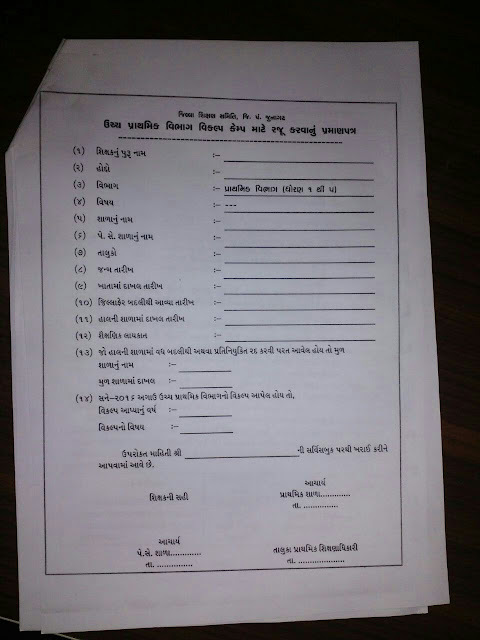 Koi Student Jamva N Magto hoy To Vali Pase Thi Lekhit Ma Lakhavwu. 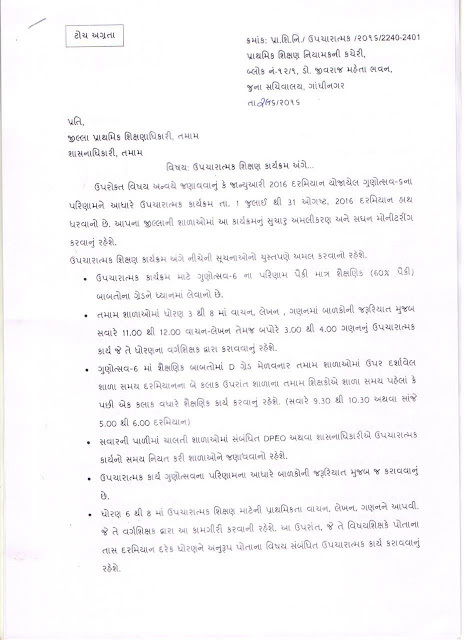 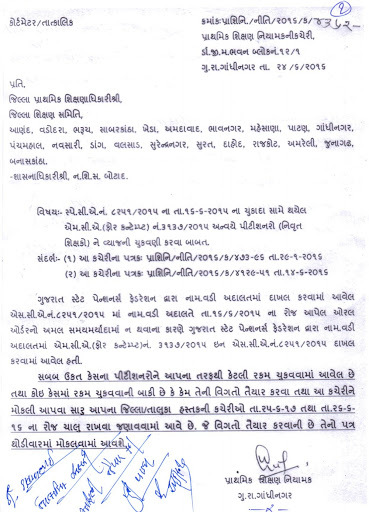 MEHSANA KUDARATI AAPATTI MA TAKEDARI RAKHAVA TATHA SAVDHAN RAHEVA BABAT PARIPATRA DATE -13-6-2016. 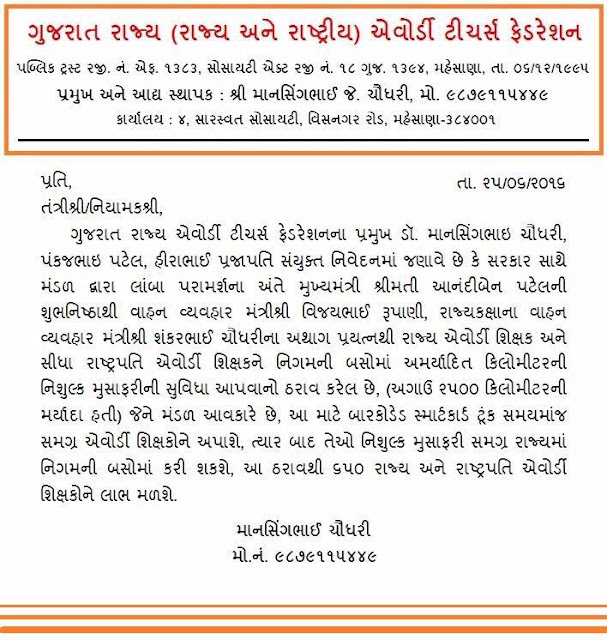 MEHSANA VISVA YOG DIN NI UJAVNI KARVA BABAT PARIPATRA DATE -13-6-2016. 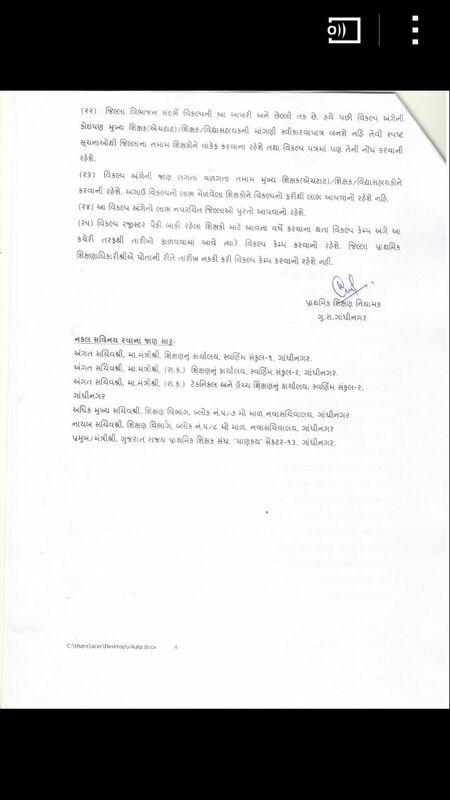 -->. 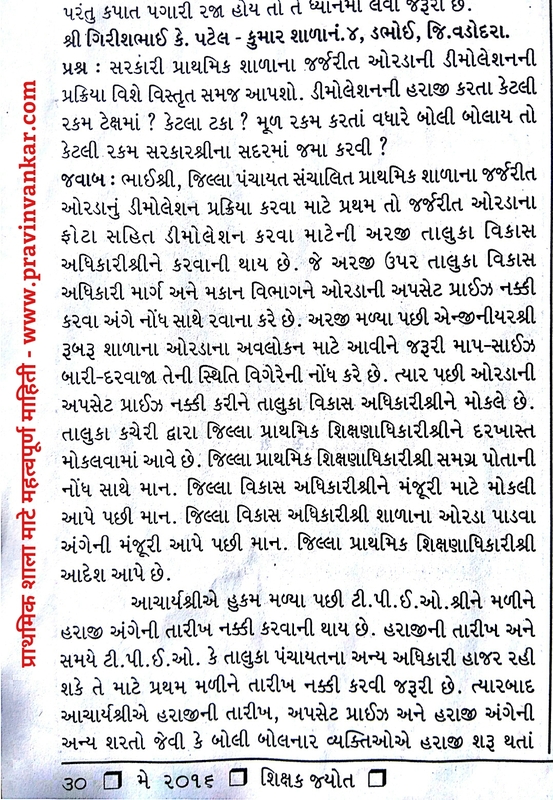 CLICK HERE TO DOWNLOAD GUJARAT ROJGAR SAMACHAR. 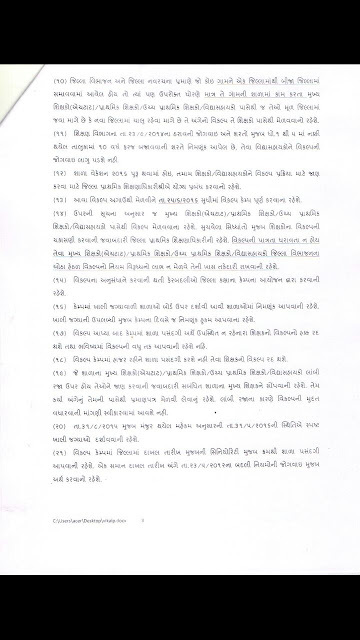 GOVERNMENT SECONDARY BHARTI SIXAN SAHAYAK ORDER RELATED NEWS. 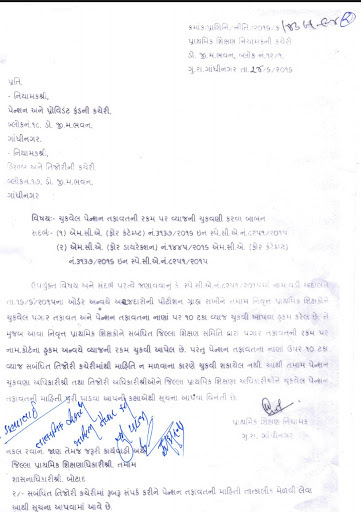 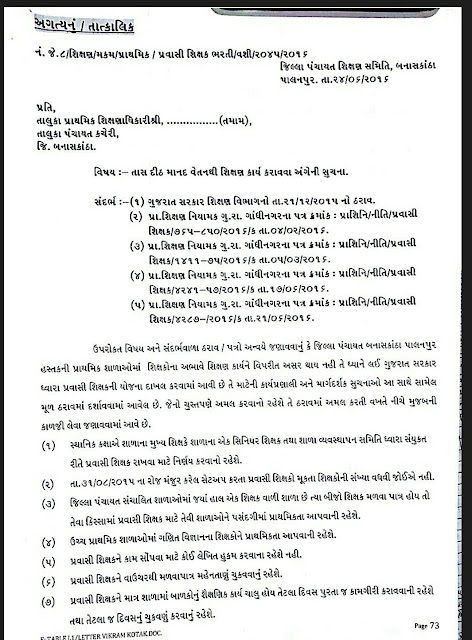 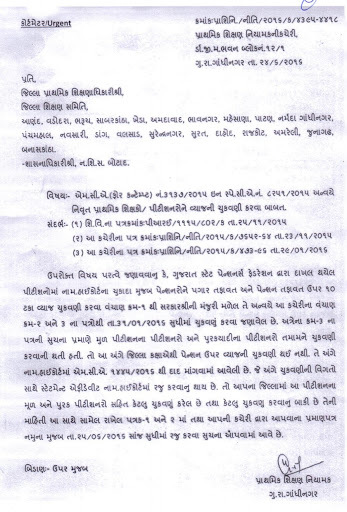 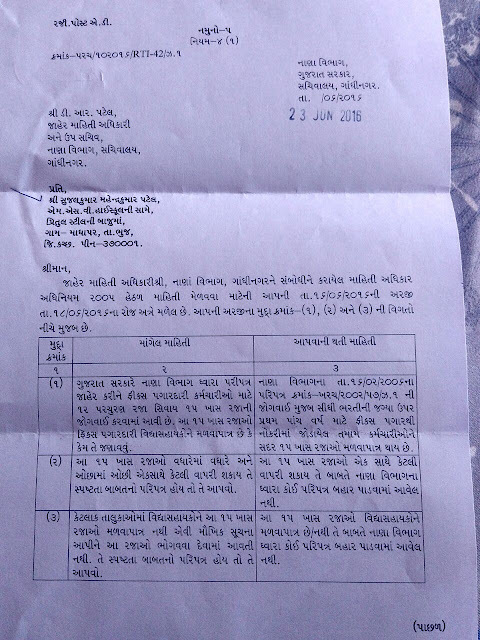 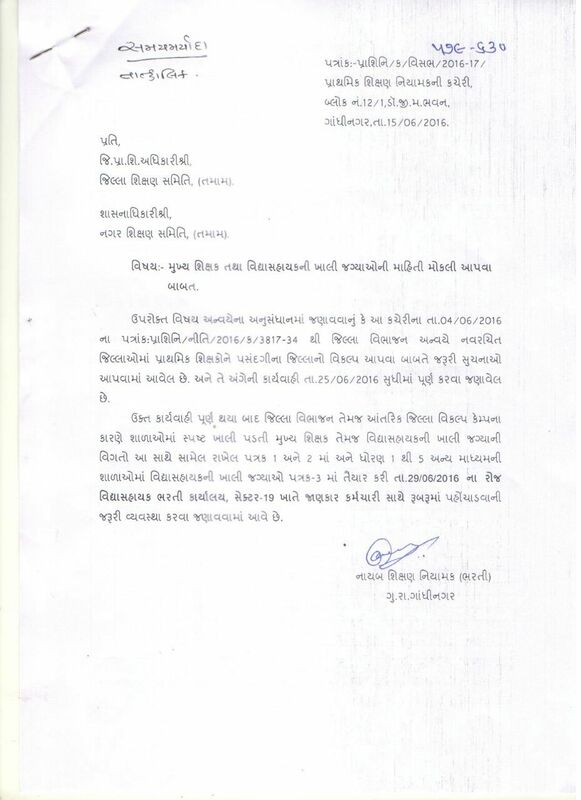 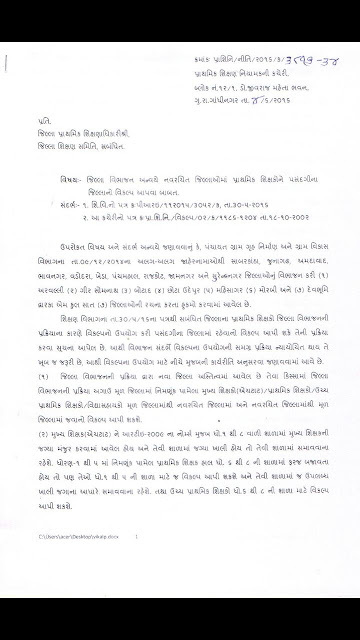 JE CANDIDATES NE 12/04/2016 NA ROJ SCHOOL PASANDGI HATE TE CANDIDATES NA ORDER JILLA SIXANADHIKARI KACHERI MA THI REGISTER A.D. DWARA MOKALVAMA AAVEL CHHE...SOMVAR SUDHI MA ORDER MALI JASHE. 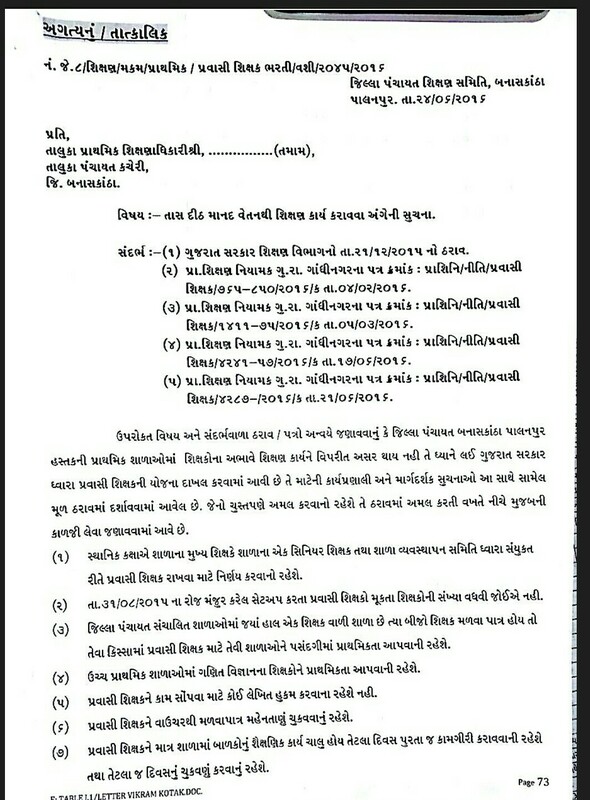 Haal Aapni pase Dhoran 3 to 5 standard Na balko mate Ittarpravruti Vanchannu Material Khub j ochhu che To aa level unchu lavva mate IIM-AHMEDABAD tarafthi je shikshak pase dhoran 3 thi 5 na balkne samjay te bhashama varta athvato vartano sangrah hoy to niche aapel niyam mujab formate ma set kari aapel email-id -megha.eibank@iima.ac.in par mokli aapvu. GRANTED SECONDARY & HIGHER SECONDARY BHARTI PROVISIONAL MERIT DECLARE. BREAKING NEWS :- GRANTED SECONDARY & HIGHER SECONDARY BHARTI PROVISIONAL MERIT & VANDHA ARAJI PROCESS DECLARE. 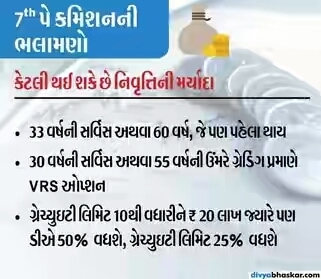 Plzz note:- ONLY MERIT % J JOI SHAKASHE. 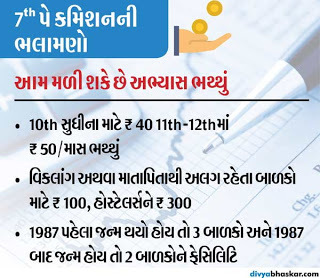 MERIT NUMBER MUKEL NATHI. 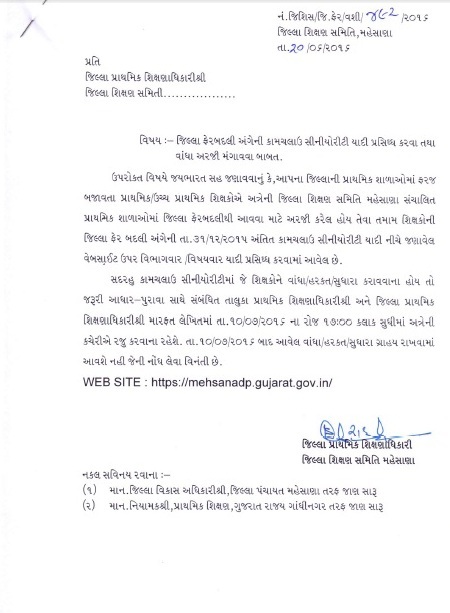 --> CLICK HERE TO CHECK YOUR MERIT. ENTER YOUR FORM NUMBER & BIRTH DATE TO CHECK YOUR MERIT.. 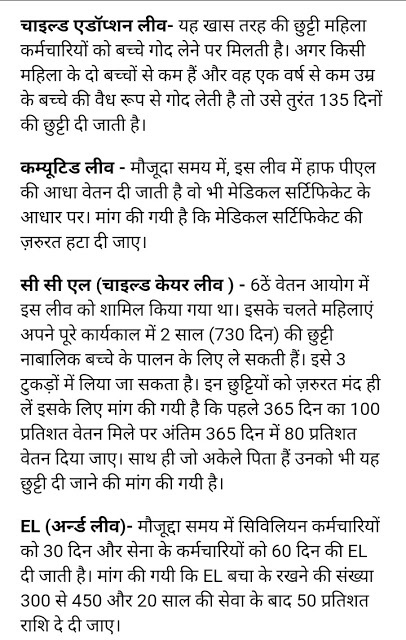 The answer keys for JEE (Advanced) 2016 are released. 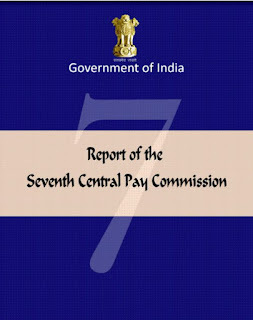 P.T.C. 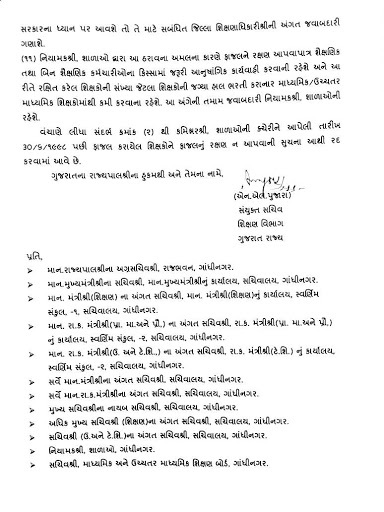 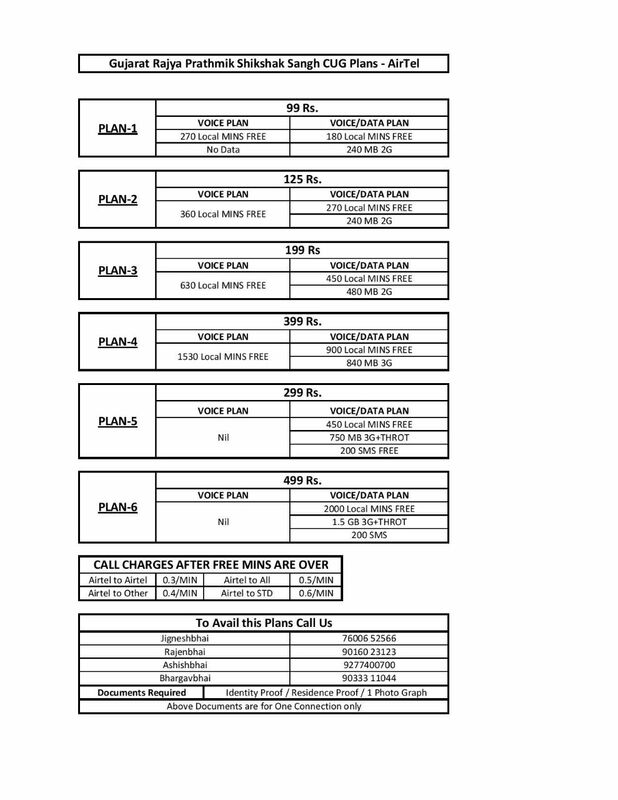 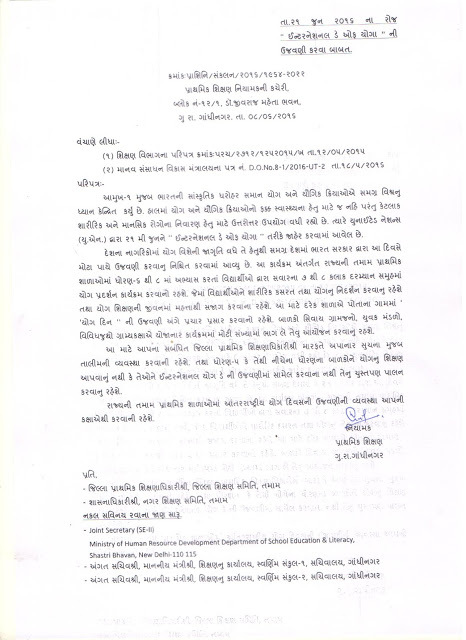 ADMISSION NOTIFICATION BY RAJY PARIXA BOARD. 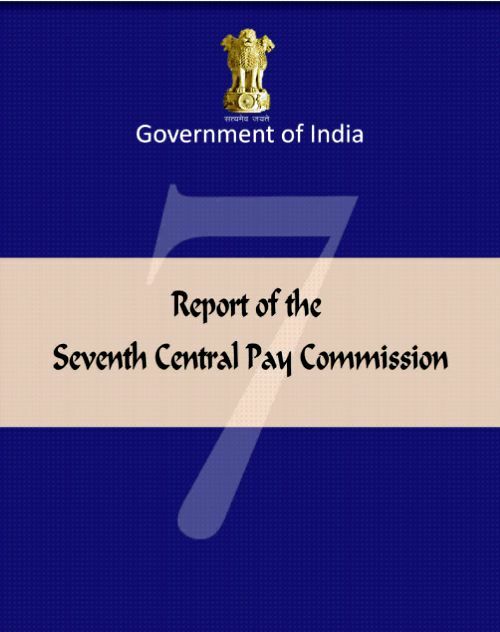 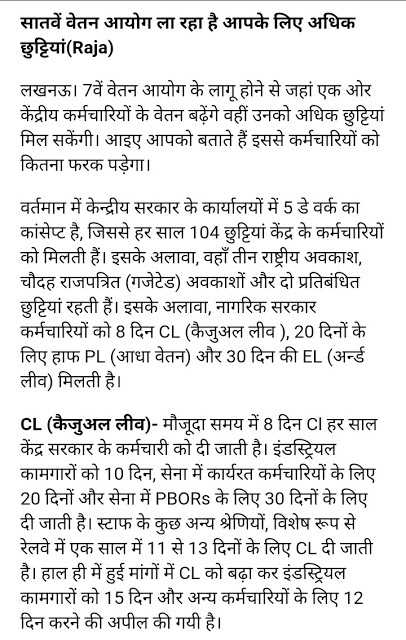 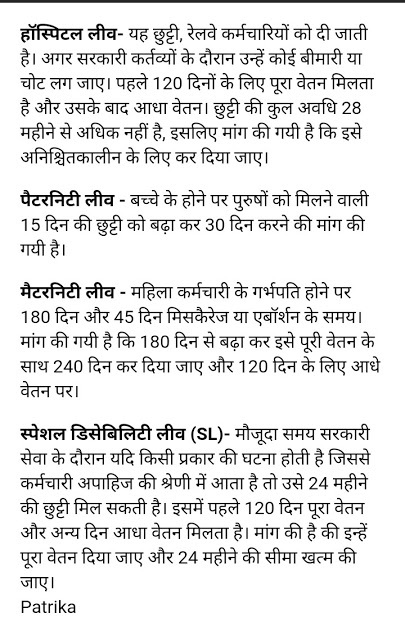 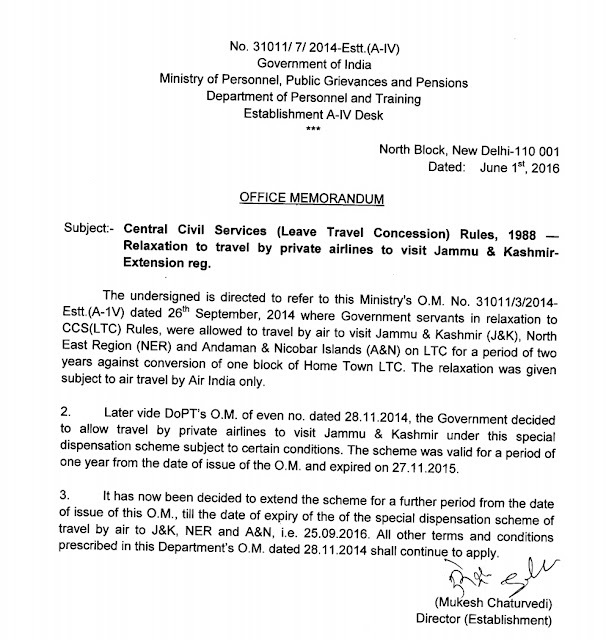 LTC RELATED LATEST GR FOR CENTRAL GOVERNMENT EMPLOYEES. 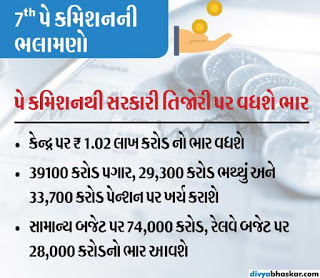 Uchhtar pagar dhoran babat CCC mate tunk samay ma pariptra thase.